What America Eats… And what does Canada? I know. Long time no talk. But have something interesting to share so it should make up for time lost. 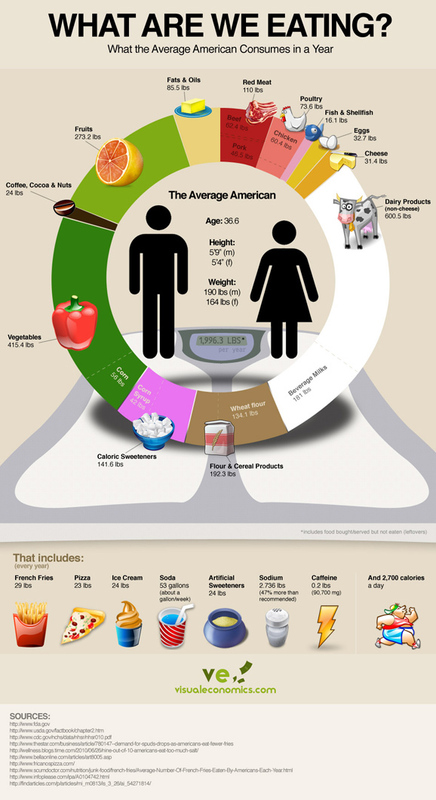 I stumbled on this site from wordpress’ freshly pressed page – and it is really nice visualization of what Americans eat. I would *love* to know how this chart would look if Canadians were the ones in question and the same methodology were applied. You can read the comments and the source here. But I would really like to know if you think we live and eat differently due to our location? I’m thinking this place needs someone to do some PR and communication-y type stuff. This girl I know who lives in abbotsford would be great at it. Thanks Andrew. Hope you are doing well.